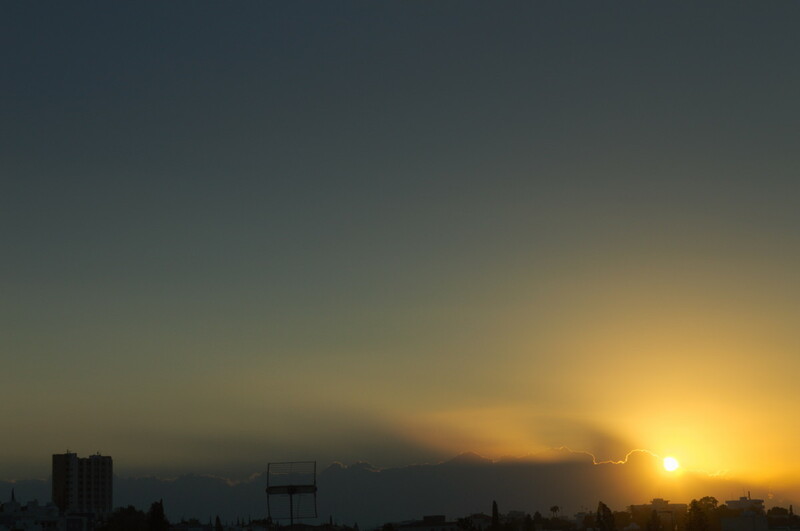 Enjoying the sunset from my new home in Nicosia. Not the best city to live in, but not bad either. I just wish it had less traffic and more... green as every big city. 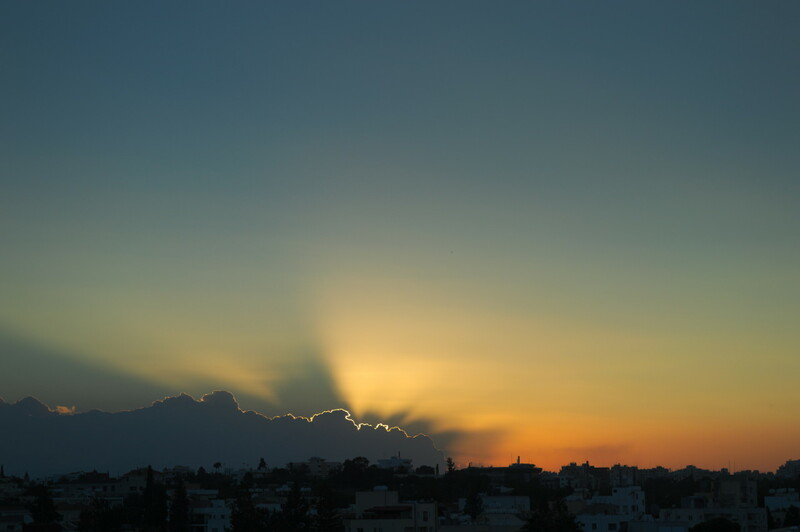 Sunset in Nicosia, Cyprus over the buildings.